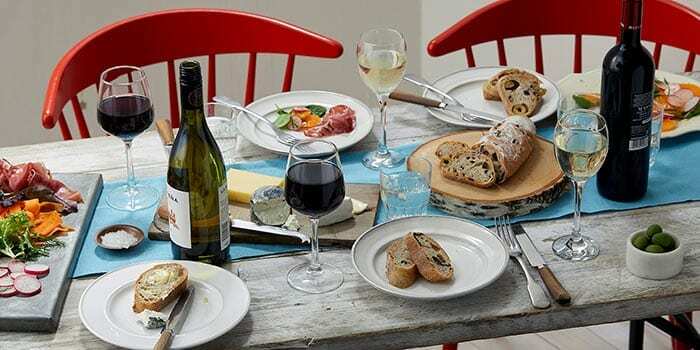 Enjoy exclusive discounts on specially selected cases, plus free delivery, by joining the BBC Good Food Wine Club, offered in partnership with Laithwaite’s. Welcome to the BBC Good Food Wine Club. In partnership with Laithwaite’s, we’re offering discounts on exclusively curated cases of wine, chosen by wine experts and the BBC Good Food team, for you to subscribe to or buy as a gift. All cases contain a free bottle of Prosecco and two Dartington champagne flutes (together usually worth £30.99). Read about how to sign up today. What can you expect in your first case? Order for just £54.99 (saving over £55) – only £4.59 a bottle! There’s a European slant to this selection, but the wines are far from traditional. From the east we have a Romanian wine, a blend of local grape Fetească Neagră with Shiraz. Then from the country next door, Moldova, a Cabernet that tastes exotic and spicy. The same grape tastes quite different when grown in the Languedoc, like the ripe juicy Chevalier de Caylus. With the whites we have two Italian classics, a Verdicchio and a heady blend from Tuscany. Finally there's a lone New World wine – although ‘new’ is a bit of a misnomer, as Marsanne has been planted in Australia for well over 150 years. Order for just £54.99 (saving over £61) – only £4.59 a bottle! This season’s white case (with one rosé) contains grape varieties that deserve to be better known. If you think German Rieslings are sugary, you're in for a pleasant surprise with the bone-dry, lime-scented Von Reben. Then there’s a Marsanne, a speciality of Victoria in Australia. Next come two blends, the heady Collezione di Paolo Bianco Vergine from Italy combining Trebbiano with Chardonnay and Malvasia, and a mixture of southern French grapes from a legendary producer, Mas de Daumas Gassac. Finally, a delicate rosado from Portugal made from local varieties combined with a grape that needs no introduction – Cabernet Sauvignon. Order for just £54.99 (saving over £69) – only £4.59 a bottle! Two of the wines here showcase case the adaptability of Cabernet Sauvignon, the grape originally from Bordeaux that has conquered the world. It thrives almost anywhere with enough sunshine but it always tastes different. There is the ripe Chevalier de Caylus from the Languedoc, and then in the Pueblo Gaucho from Argentina the Cabernet plays a supporting role to Malbec. And then three wines that are completely different: the crowd-pleasing Dinastía Manzanos Rioja, the Burebista from Romania which combines Shiraz with a native grape, and finally from the Douro valley in Portugal the utterly irresistible Castelo do Vinteiro. What is the BBC Good Food Wine Club? 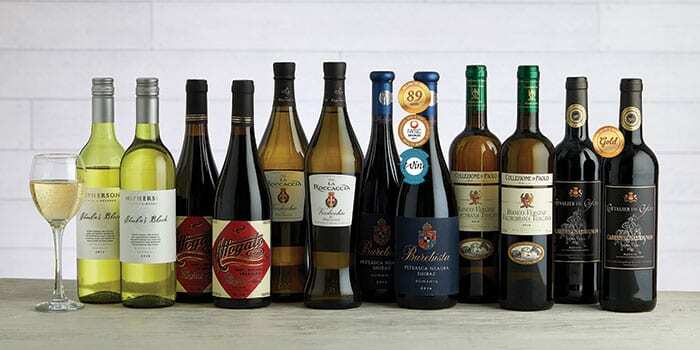 The BBC Good Food Wine Club offers you savings on exclusively curated cases of Laithwaite’s wine. Once you’ve signed up using our introductory offer, you will be enrolled onto a Laithwaite’s plan of four, eight or 12 weeks, unless you opt out after creating your account. Your plan is customisable, plus Laithwaite’s will regularly send you exclusive offers on BBC Good Food collaboration cases. Each case will contain tasting notes for pairing wine with food, along with the stories behind each bottle and serving suggestions. If you’re not happy with the plan, you can cancel at any time, no questions asked. To read more, visit bbcgoodfoodwineclub.com. How is the wine chosen? 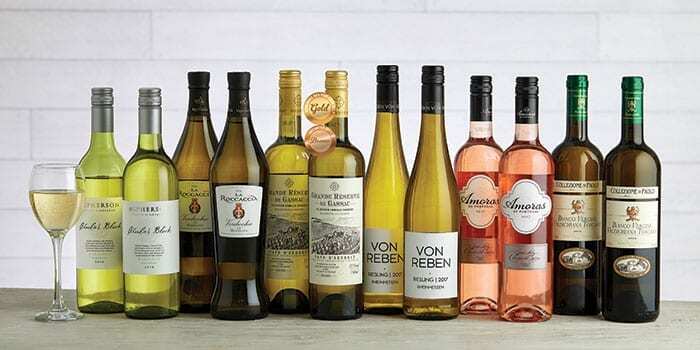 In collaboration with wine writer Henry Jeffreys, the BBC Good Food team has selected food-friendly bottles of red, white and rosé wine to make up our introductory cases. 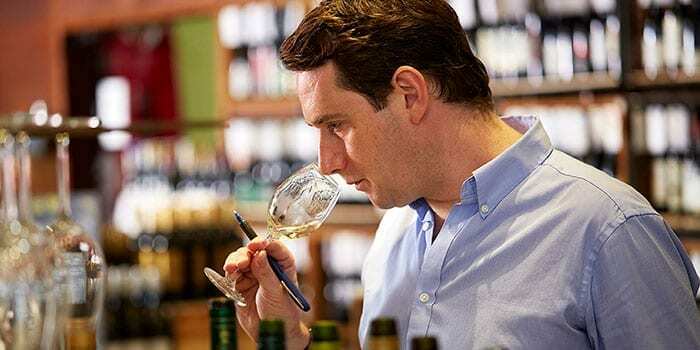 Guided by the expert team at Laithwaite’s, we tasted each wine to bring you our ultimate selection. We chose red, white and mixed cases, each containing award-winning, beautiful wine that we’re confident our readers will love. Each case is priced at £54.99, offering you amazing savings of up to £69 on each case – that’s only £4.59 a bottle. To redeem the offer, visit bbcgoodfoodwineclub.com to choose one of the three cases, create an account and place your order. You’ll then receive your first case within three working days. Offer ends 1st November 2018. 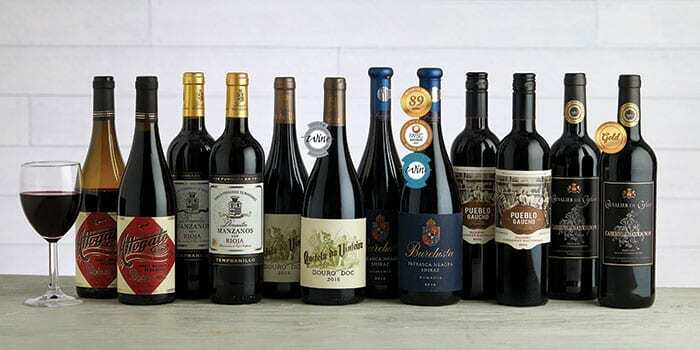 By purchasing a case of wine under this introductory offer, you are joining the BBC Good Food Wine Club and the following terms apply in addition to our Wine Plan terms and conditions. Future selections are priced from £99.99 (plus £7.99 for delivery) every 12 weeks (or 4 or 8 depending on the frequency requested by you), with an additional case at Christmas. New BBC Good Food Wine Club customers only for delivery in the UK (excluding Channel Islands and BFPO addresses). You or anybody you buy wine or other alcoholic products for must be 18 years or over. All goods are subject to availability and all orders are subject to acceptance by us. Offer limited to one case plus free gift and free delivery per household and cannot be used in conjunction with any other offer or promotion. In the unlikely event of a wine becoming unavailable, a substitute of similar style and of equal or greater value will be supplied. If you are unhappy with any substitutions you receive we will arrange to collect them from you (free of charge) and replace the bottles or give you a refund as appropriate. Standard delivery (usually £7.99 per order but free with this offer) takes 3 working days (delivery to offshore islands, NI Scottish Highlands and some other areas of Scotland may take a few days longer). If you change your mind about some or all of your order, you may cancel your order up to and including 14 calendar days after the day on which you receive your order by phone, email or completing the cancellation form. We will then arrange to collect (free of charge) the unwanted goods and reimburse the appropriate sum paid including delivery costs if applicable (up to the amount charged for the least expensive kind of delivery service we offer) within 14 calendar days after the day on which you tell us that you wish to cancel. However, if you handle the goods whilst in your possession in a way which would not be permitted in a shop (e.g. by opening a bottle of wine or removing a seal), we will reduce your refund to reflect the reduction in the value of the goods. If you have any questions about an offer (including on purchasing different quantities of wine), your order or privacy matters, please call 03330 148 188 (calls to this number cost the same as calling an 01 or 02 number. Where calls to an 01 or 02 number are part of any ‘inclusive’ minutes (on mobile or landline), calls to this number will also be included), or email us at [email protected]. We may monitor and record calls for training purposes. BBC Good Food Wine Club is operated by Laithwaite's Wine, part of Direct Wines Ltd. Registered in England and Wales. Registered Number 1095091. One Waterside Drive, Arlington Business Park, Theale, Berkshire, RG7 4SW. Unless otherwise stated, all wines contain sulphites. What do Tour de France cyclists eat?